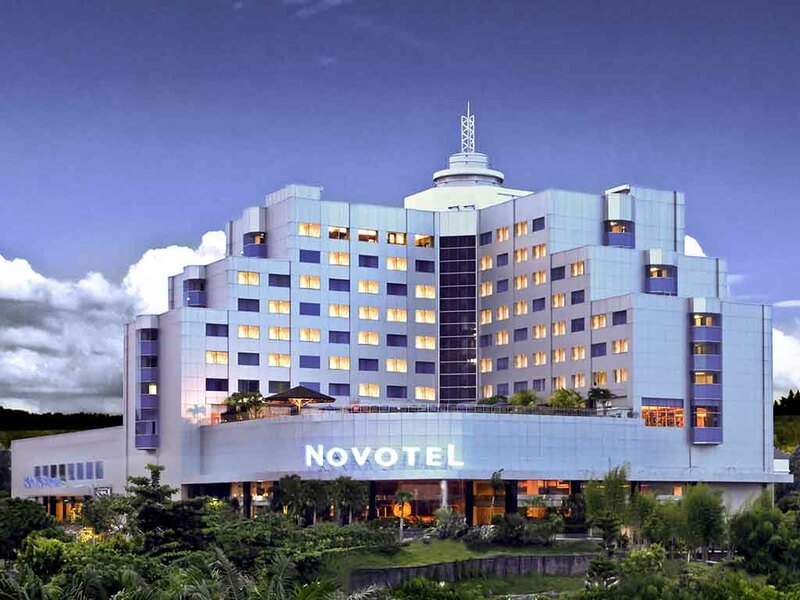 노보텔 발릭파판(Novotel Balikpapan)은 발릭파판의 중심에 자리한 4성급 인도네시아 호텔로, 비즈니스 및 레저 여행객이 이용하기에 적합합니다. 릴렉싱 마사지를 받거나 자쿠지 또는 실외 수영장에 몸을 푹 담가 보세요. 또한 아름다운 전망을 자랑하는 다양한 바와 레스토랑이 노보텔에서의 잊지 못할 추억을 선사합니다. 비즈니스 지구 중심지에 위치한 노보텔 발릭파판은 공항에서 자동차로 20분, 인근 쇼핑 센터에서 5분, 세마양 항구에서 20분 거리에 있습니다. 또한 불과 200m 거리에 해변이 펼쳐져 있습니다. Colors restaurant overlooks the swimming pool and features evening entertainment and Mediterranean and Asian cuisine. The Square presents the new Novotel concept dining experience. Offers Asian, Western and authentic Indonesian cuisine. Mouth watering buffets are available daily for breakfast, lunch and dinner. 애피타리프와 최신 음악을 즐기면서 타파스 요리를 맛볼 수 있는 최상의 장소입니다. 매일 오전 10시부터 새벽 1시까지 운영됩니다. The Square 바로 옆에 위치하고 있으며 바다 전망을 자랑합니다. 친구들과 편안하게 다양한 칵테일과 안주를 즐길 수 있는 완벽한 장소입니다. 다만 화장실 배수가 잘 안됩니다. 이전에 비해 데스크 직원의 친절도가 상당히 좋아졌습니다. 내부 교육의 효과가 있는 것 같습니다. 하지만 자카르타 호텔에 비해서 개선점이 있습니다. 1박 후 다음날 12:00경 체크아웃 하는데 직원 2명밖에 없어서 체크아웃 손님들과 새로운 체크인 손님들이 30분 이상 오래 기다렸습니다. 바쁜 시간에는 매니저 등도 데스크에 와서 일을 도왔으면 합니다. 참고로, 저의 친구들도 데스크 직원의 불친절이 기억에 남아 그랜 시뉴르에 비해 호감도가 떨어진다고 말합니다. Dear Mr. S. Choi Won, Thank you for taking the time to share your feedback. While I wish you had a better experience. We work hard to deliver an exceptional guest experience, and it's apparent in this case that we fell short. If you give us a chance to earn back your trust. I can assure you that we will do our best to give you the great hotel experience that so many of our guests have grown so fond of. Once again thank you and we are looking forward hearing from you soon. Best regards, Dewi Ningsih Duty Manager.